If there is one weapon that is on nearly every tactical shooter’s bucket list, it is the MP5, For most, spending quality trigger time with a MP5 was out of the question—until now. Zenith makes the MP5 delayed roller lock experience attainable. Don’t call the Zenith MKE Z-5RS a clone, knock-off, or wannabe MP5. The Zenith is a licensed version of the iconic Heckler & Koch MP5. Zenith Firearm in Afton, Virginia, imports a number of H&K-licensed delayed roller lock action models from MKE (Mechanical and Chemical Industry Corporation) of Turkey. It is easy to understand why the H&K MP5 is still in use with many military and LE groups around the world. The Z-5RS is a semi-automatic version of the H&K MP5A1 and uses a delayed roller lock action similar to the H&K G3 and PTR-91 7.62mm NATO rifles. This mechanism is decidedly simple. Using a bolt head with rollers and a bolt carrier, expanding gases from a fired round produce rearward pressure on the bolt head. Some of this rearward pressure is transferred to the rollers on the bolt head which cam against the tapered bolt carrier extension. This results in the bolt carrier moving rearward faster and delaying the movement of the bolt head. The advantage of a delayed roller lock action is the simplicity of the design and ease of manufacture. Compared to gas or recoil operated mechanisms, the delayed roller lock action is easier to build and utterly reliable. The mechanism was designed in the mid 1960s and numerous—some 100 according to H&K—MP5 variants have been built. Full auto variants are probably the most widely used submachine is use today. Military, law enforcement, and other groups in some 40 countries still use the weapon. A pal who was a former SWAT team member in New York was a MP5 trainer. He could write his name with his full auto MP5. That’s what I call cursive penmanship! Rear sight: Steel, elevation/windage adj. The Z-5RS comes in a hard case with three 30-round magazines, a 3-point sling, extra takedown pins (they are easy to loose), and cleaning kit. Like the MP5, it is constructed with a welded, stamped sheet-steel receiver. The fit and finish of the Z-5RS is well executed. It wears an all-business matte black finish. The upper is made with a welded, stamped-sheet steel receiver that houses the barrel, bolt mechanism, and magazine well. The barrel measures 8.9 inches, and the muzzle is threaded for a muzzle device. The sights are characteristic of H&K-designed roller lock guns with a rear sight consisting of a drum that adjusts for windage and elevation. The front sight is a protected post. Working the cocking handle, I found the action slick and smooth. The cocking handle is non-reciprocating and located above the handguard and protrudes from the cocking handle tube at approximately a 45° degree angle on the left side of the pistol. The fire control group is housed in a polymer lower receiver. The safety selector is large paddle that is easily operated with the thumb of a right-handed shooter. Pull a few pins, and the Z-5RS breaks down into six components including the curved 30-round magazine. With a weight of 5.5 pounds and an overall length of 17.9 inches, the Zenith requires a good two-handed hold. 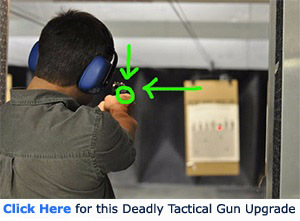 When firing a pistol such as this, I prefer to use a one-point sling to brace the pistol. With the sling, I can push the pistol forward toward the target and use the sling as a brace to steady the weapon. When not in use, the Z-5RS can be handled at waist level. I ran three brands of ammo with three different bullet weights: SIG V-Crown 115-grain JHPs, Aguila 124-grain FMJs, and Atlanta Arms 147-grain FMJs. The Zenith chewed through everything I fed it. Working the gun sideways and upside down did not interfere with the Z-5RS’ desire to perform. At 10 yards, I was able to produce five-shot groups averaging about an inch. Moving out to 25 yards, I averaged less than two inches. Zenith also has one of those evil arm braces as an optional accessory. Think of the Z-5RS in the same way you would use an AR pistol for home defense, except a lot less muzzle blast and recoil. Those 9mm bullets purred through the Zenith. If you have always had an itch for an MP5, the civilian legal Zenith Z-5RS is affordable choice. Check that off my bucket list. 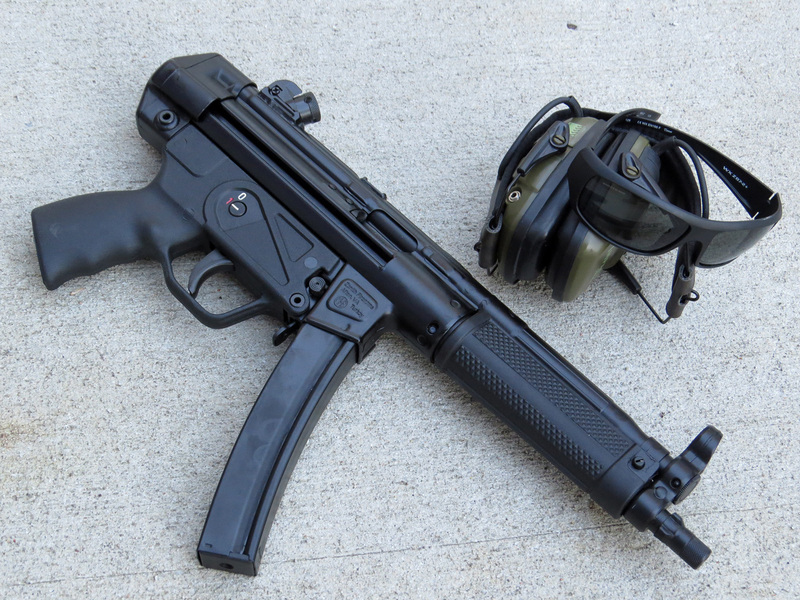 Is the MP5 on your bucket list? What do you think of the Zenith Z-5RS? Share your opinion of the Zenith Z-5RS in the comment section.